Hippocrates said that exercise was man’s greatest medicine, but his message has been forgotten over time. Thankfully, while human ageing hasn’t changed over the years, science now shows that ageing doesn’t automatically mean frailty. Regular exercise helps our bodies to age optimally, and even more so when we start in our 40s. 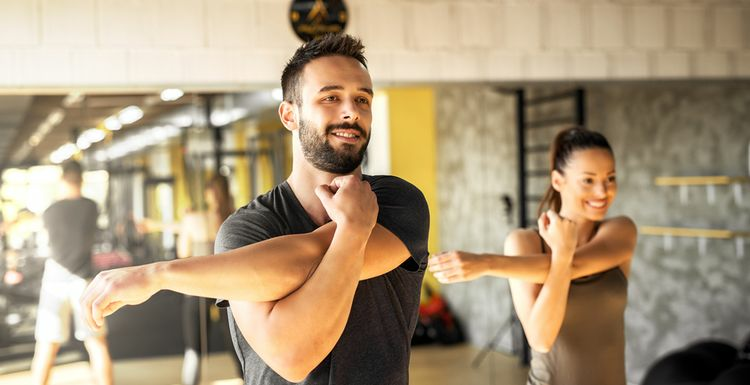 A recent report published in the Journal of Physiology showed that starting exercise in your mid-40s to 50s slows arterial stiffness, which typically occurs as we enter our 50s and is linked to strokes and heart attacks. The researchers found that 70 year olds who’d exercised at least 4 times a week since their 40s showed a biological age much younger than their more sedentary peers. This contrasts with other studies which showed people who took up exercise later in life had no slowing of aortic function. The best aortic benefits were gained by ‘committed athletes’ or ‘master athletes’ – those who exercised 4 to 5, or 6 to 7 days a week, for at least 30 minutes each day. Casual athletes (those who exercised less than twice a week) didn’t show so much improvement. The study didn’t consider exercise intensity, so if you do high intensity workouts you might be able to reduce the total minutes. The best thing to do is get into the habit of exercising regularly, at least 4 times a week. Gym workouts, walking, sports, The NEAT approach is a good way to add extra activity into your days without even noticing, or even catch up while you’re commuting. I AM WELL OVER 40. IS IT TOO LATE FOR ME? Not at all. Plenty of research tells us that any exercise can help prolong life, whatever age you are. But if you are still under 40, you have a great opportunity to get into good exercise habits now so that you can enjoy the entire ageing process, not endure it. Great news for us people who started in our 30s, and this is also very motivating for 40s and over to keep at it. Once you're in the habit of exercising it will be hard to drop for the rest of your life.